Improving the campaign system – insubordination. For those readers who have chimed in late, over the past year and a half I have been developing various models of campaign rules for use with DBA 3.0. Some featured flexible time periods, some offered stratagems for use before battle and recently I experimented with unequal size forces. This now brings me to my latest experiment; insubordinate commanders. Recalling the Italian campaign of Belisarius, the Byzantine general had frequent clashes with subordinate commanders; Ian Hughes covers this well in his biography of ‘Belisarius, the Last Roman General’. The situation is not unique as history records ample examples of insubordination and you will find examples in books I, II and III of Frontinius’ Stratagems. For campaign purposes, one can imagine an insubordinate commander disrupting carefully laid plans until his superiors deem his removal a wise step, however, during battle the presence of such behaviour can have disastrous results. In a previous experiment with uneven sides, I demonstrated how a smaller force could have a reasonable chance of success against an army with superior numbers and if designing scenarios based on historical encounters you will find many such examples. 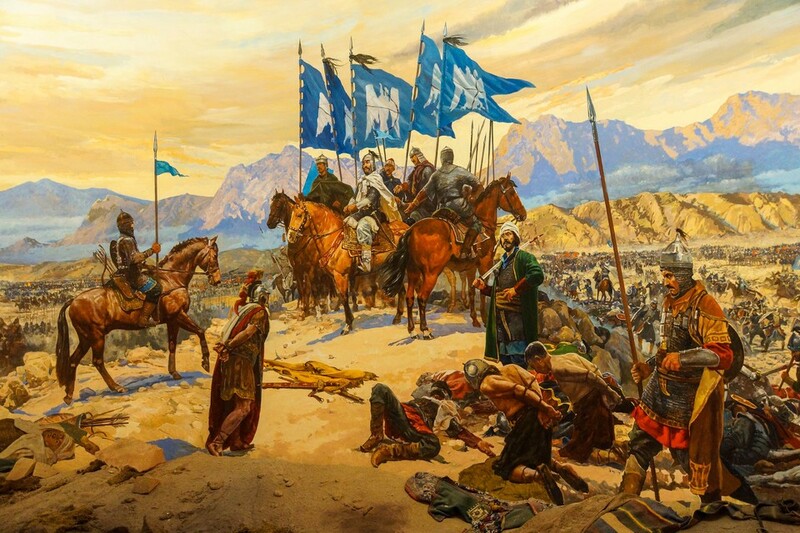 Take the Battle of Manzikert (1071) as an example. Andronikos Doukas was at odds with Romanos IV and during a pivotal point in the battle either ignored orders and marched off the field. To duplicate this example, the Byzantines should have roughly double the number of elements to that the Seljuk, say 18 Byzantine elements vs. 9 or 10 for the Seljuk. Using the previous experiment with uneven sides, divide the Byzantine force into three groups with Doukas having a nominal command over one group. Both sides use one die for their pip score, but any elements under the command of Doukas would require an extra pip to make a tactical move. Here is a situation similar to a command losing its general early in the game and to make and tactical moves this would require an extra pip. In our example of Manzikert, the insubordinate Doukas and his group are literally ‘lost’ for Romanos IV and therefore require the extra pip cost to move. Each group in the Byzantine army would reach 'demoralisation' and flee the battlefield if it losses two elements. With a high pip score, Romanos IV may elect to hold Doukas in position. If the Byzantine player elects not to do so, then Doukas flees first followed by the rest of his group. It is not known if the Seljuk commander was aware of the friction among the Byzantine commanders, the identity of the insubordinate group should remain unknown to the Seljuk player. 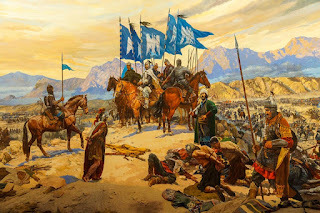 Illustration: Aftermath of the Battle of Manzikert. Diorama at the Istanbul Military Museum. In the coming weeks this feature will be tested with different armies and those results will be posted here. 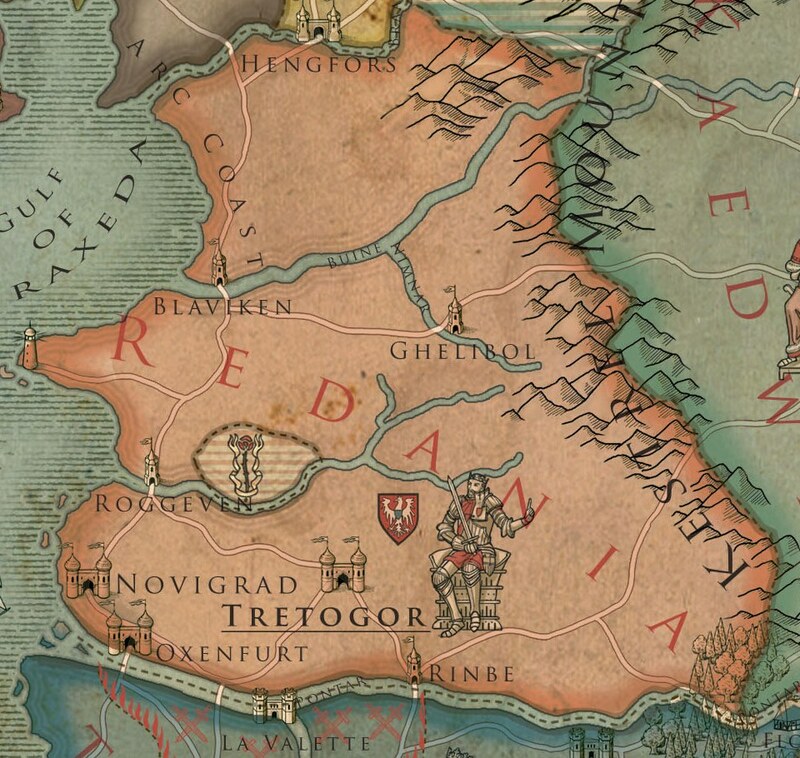 Redania is the third largest of the northern kingdoms. Economically, it is one of the richest kingdoms, a result from a thriving industry and its agriculture. It is also described as the granary of the continent from its fields which stretch from the Kestrel Mountains in the east to the sea. Redania held a long history of trade wars with her primary rival, Temeria, but placed these issues aside during the Nilfgaard invasions. The Redanian political position changed after the assassination of King Vizimir II, during the second Nilfgaard-Nordling war, from a pillar of resistance among the Northern Kingdoms to initiating open aggression against its allies; seizing the Kingdom of Kaedwen after King Henselt's death. At the Witcher Wikia, readers can find more information about the Redanian army, its strengths, notable units and known battles. With ample loans, the king of Redania was able to increase his troop strength four fold. Not only invading the Kingdom of Kaedwen, Redania invaded Temeria after the assassination of King Foltest; surprising Nilfgaard as she would no longer be facing four kingdoms by one strong power to rival her own. 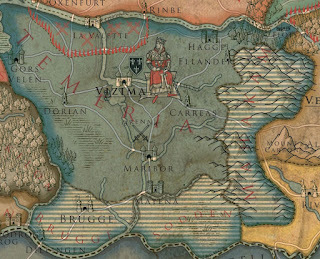 In the Witcher game series, the Redanian troops are depicted carrying banners nearly identical to Medieval Poland; the white eagle on red background. However, further reading in the books describes Redania as not being unlike Medieval Denmark; an agrarian based economy and maintaining a modest sized Royal army; during emergencies their numbers could be increased with additional levies and mercenaries. 0 - 2 archer or crossbow (Ps). Raised by the Redanian Noble family von Everecs the Free Company supported the Redanian Royal Army during the Third Northern War. Their appearance in “Hearts of Stone”, the Free Company have a similar appearance to Polish Cossacks and most likely would be classed as light horse (LH). In the Witcher series, Redanian military fashion makes use of red and white colour for their uniforms. This theme appears for both mounted and foot units. 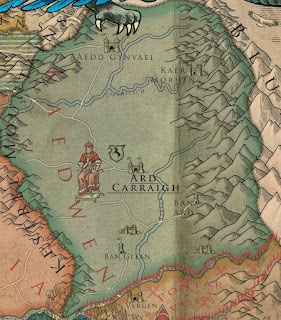 The village of White Orchard is featured predominately in the game three of the Witcher game series and although not mentioned in the novels, it is illustrated in the comic book series. My interest in the location was to model this for the project and so added it to my 'to do' list. That was one and a half years ago. As misfortune (delayed delivery of miniatures) opened an opportunity for good fortune, I decided to start construction of the village. Each structure has a foam core which is cut and shaped to size. For DBA use (BUA, hamlet), the number of structures was kept to three houses and the tavern. With the blocks roughly shaped, I used Milliput to cover first the walls and after curing added the thatched roofs. Beginning with the walls, these were first given doors and windows, and then scored to simulate logs. The following day, the corners pieces were then added and the thatched roofs a day or two later. I made sure there was enough Milliput to create sufficient thatching hanging over the walls. The tavern is constructed in four sections; a tower, two wings and a covered area for the patron’s horses. The latter section is held in place with brass wire to form upright posts; later, fencing would be added which was made from card stock (120 gram). Bases are triplex basswood, cut and sanded. The structures are now glued into place as this will make handling easier as you begin painting and dry-brushing. Brass wire posts and fencing are set in place.The base is covered with a mix of white glue and sand. This is later painted and dry-brushed with ‘greenery’ added as the final touch. In the Witcher 3, the Wild Hunt, there is a Nilfgaard garrison deployed at White Orchard, so the presence of a camp and a few watch posts placed at river crossing points would not be out of place. The region is known for its fruit bearing orchards and ample pasture for sheep and cattle, but as the war progressed and left its mark on the land it attracted its share of monsters. 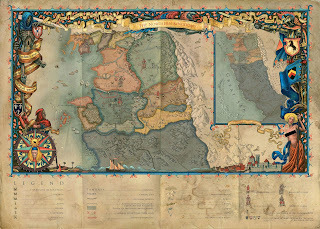 The annexation of Nazair is the closing chapter to the Southern Conquest campaign. There is little information to be found at Witcher Wikia about the actual campaign, but my impression is after the fall of Ebbing and Metinna, Nazair nobles quietly accepted the inevitable and opened her gates to Nilfgaard. Further inducement to seek the wiser option was supported by the college of Mages and the Trade Corporations. In the books there is no further mention of events following the campaigns of annexation with the one exception of an uprising in Nazair necessitating a punitive expedition to the Amell Mountains and the eastern region of the country. This is a speculative design based on the famed blue rose of Nazair which is mentioned in the books. The scenario, the Southern Conquest 1239 will feature the uprising in Nazair and therefore the army list presented here include rebel forces that may be used after the occupation by Nilfgaard. This will offer players a preview of guerrilla activity which becomes a frequent occurrence in the Nordling Wars. Metinna lies north of Ebbing and like her neighbor there are a number of rivers which course their way through the land to empty in the great sea. Two of the towns and cities, Neureuth and Forgeham, are described as merchant cities and most likely would have fortified walls. 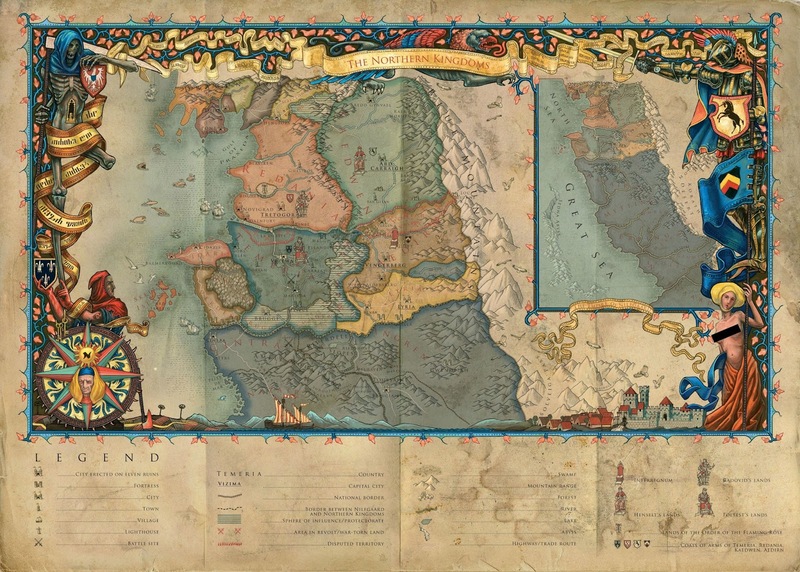 Further, Metinna is describes as having one-third of its realm as a plain bordered on two sides by the Yelena and Sylte Rivers. During the Southern Conquest, Metinna with her greater resources could field a much larger army than Ebbing. For this reason, the maximum number of each troop type listed below is increased to reflect this. The colour green features in the Metinna coat of arms and this is used as a theme colour for the troops. The coat of arms, illustrated above reflects the transition from an independent realm to a member of the Nilfgaard Empire. Those of you who have read the books will note that Nilfgaard adapts a different strategy for the annexation of Metinna as sorcery and the influence over the trade guilds have as great an importance than columns of troops marching across the landscape. This will also be treated in the Southern Conquest scenario. Ebbing is one of the four large realms to the north of Nilfgaard and is the first to become annexed after the period known as the Southern Conquest. 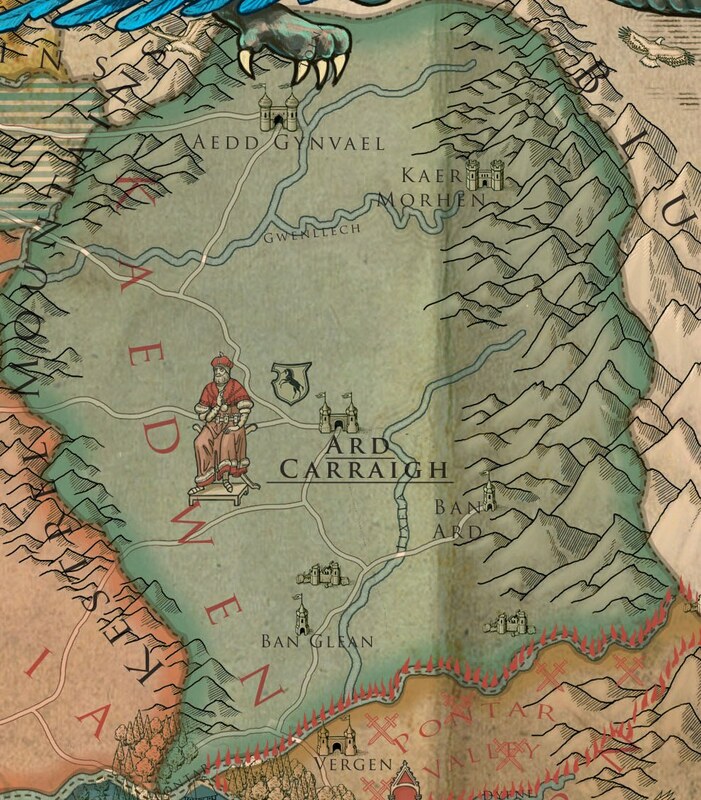 At the Witcher Wikia, is an artist's concept of the Ebbing armorial based on descriptions in the book. The blue lines on a white background presumably signify the four major rivers that course through the province. Ebbing banners would later be replaced with the Nilfgaard blazon sharing half of the field. Aside from the banners, the blue tunics are the only means by which Ebbing troops are to be recognised apart from Nilfgaard. 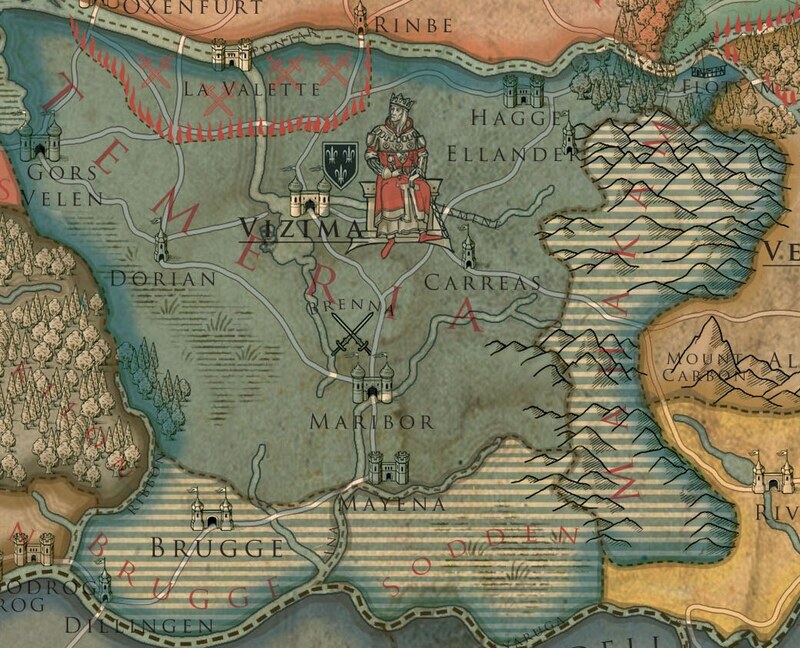 The maps found at Witcher Wikia show Ebbing with one major city and two towns. They are Claremont, Fano, and Tegamo which will be featured on the campaign map. Further, Clermont seems to be only one featured with stout walls and a citadel. The other two, Fano and Tegamo, are classed as towns so may have defences not quite up to standard. The Witcher Wikia mentions very little of castles or noble houses therefore the army reflects a reduced number of knights and men at arms with foot troops, presumably the militia and city garrisons predominating. Troops for the province of Ebbing are done. Next are those of Metinna. Researching the history of Nilfgaard I decided to pre-date the period of the Great War with the Northern Kingdoms and begin the campaign scenarios with the consolidation of the Empire known as the Southern Conquests of 1239. This offers an advantage of gradually building up the Nilfgaard collection as most of its troops would come from the annexed kingdoms. As the individual armies are completed, I can conduct tests of scenarios and the siege rules as time permits. In 1239, the emperor, known as the “Usurper” as his actual name is nowhere mentioned in the novels, needed to secure his position and deal with the recalcitrant kingdoms before considering an invasion of the Northern lands beyond the Yaruga River. The long campaign involves a series of methodical invasions and annexation of Ebbing. Maecht, Metinna and Nazair. All, fall in rapid succession to the mighty armies of Nilfgaard; only Nazair continues its resistance well after the occupation of its lands. Nilfgaard troops are described in the books as the “Black ones”; this may be a reference to the dark uniforms they wore or describing their evil behaviour toward the people they conquered. Aside from the uniform colour, the sun emblem is seen on their flags, badges, shields and emblazoned on the armour of the elite units. At the Battle of Brenna, Nilfgaard forces meet the infantry of the Northern Kingdoms and formed their cavalry units in wedge formation. Merging the two lists as one list would offer the Nilfgaard commander a degree of flexibility before deploying his troops. Horse archers should appear as part of an elfin allied contingent. Feudal retainers would represent the vassal contingents of Ebbing and Metinna and mercenaries could form up to half the infantry. Artillery was not found on the battlefield but would be present for sieges. War wagons can be used if Nilfgaard is defender; these can replace up to 2 crossbowmen. The first twelve elements are ready to take the field. Additional figures will represent the vassal kingdoms of Ebbing and Metinna. At the moment of writing all the armies lack flags, but these will be added this week. Based on the latest book, new troops will be added to cover the options added to the army list. As these are completed they will be added to this page. As a result of a policy change by Photobucket, many of my photos which used this service are no longer viewable at a number of forums, such as DBA Fanaticus and TMP (The Miniatures Page). This is an inconvenience as all the photos for the Witcher Project are now gone. Therefore, rather than create a third blog dedicated to the world of fantasy, I have decided to take a pragmatic approach and add the Witcher Project to the Storm Within the Empire; after all it is centred around an empire, does use the DBA system and is medieval in appearance . In the coming weeks there will be an influx of fantasy related posts covering the armies of the Empire, the Northern Kingdoms, the campaign rules which are now revised, the scenarios and of course building projects. These will appear in rapid succession, but readers will be able to track earlier postings by using the ‘index’ located on the right hand side of the page. The Witcher is set in a Late Medieval early Renaissance world with a powerful empire waging war against rival kingdoms. The stories abound with ample political intrigue assisted by mages and sorcerers and add to this a variety of races, a diversity of monsters and monster slayers known as Witchers. The game movies, which are available at YouTube are The Witcher, The Witcher: Assassins of Kings and The Witcher 3: the Wild Hunt. The quality of the graphics greatly improves throughout the series as does the complexity of the stories filled with sub-plots and active characters. The recent game movies, “Hearts of Stone” followed by "Blood and Wine" offer further excellent reference material. As a project, I found the background events which take place in the books of greater interest than developing something based around the characters. For instance, there are three major wars between the Nilfgaard Empire and the Northern Kingdoms. During the course of these campaigns, both the Empire and the Northern Kingdoms are trying to contain their own internal struggles with varying degrees of success while waging a major war. The thrust of this project will then focus on the major participants, the collecting of the armies and of course the construction of rural villages, walled cities, harbour settings, and ships will not be overlooked. The architecture although medieval does evoke an East European style, while the ships of the fleets are a combination of galleys and cogs using lateen sails emblazoned with symbols of their kingdom. Using the tribal grouping system does work well for the many nomadic nations throughout history. One can imagine leadership rivalries or territorial disputes between sub-tribes that will invariably lead to a major clash and for this exercise, I selected the Parthian Empire. In 10 AD, the Parthian nobility were split between those who backed the newly enthroned King Vonones I and others who supported the rival claimant, Artabanus III. Artabanus, who lived among the Dahae in the northeast of the empire gathered the support of nearby satraps to march on the capital. In response, King Vonones marshals the royal troops, nobles and their retinues to head Artabanus in the highland regions south of the Caspian Sea. Both armies have a similar composition of cataphract nobles and tribal light horse, but King Vonones can field the larger army (18 elements) to meet the usurper’s rebel army of 12 elements. The terrain is for the most part ‘dry’ but ideal country for cavalry. The King’s forces are deployed over a wide front with the Royal household troops in centre flanked by the noble houses and their retinues. Artabanus has placed the majority of his force in the centre with each wing holding a small number of horse archers. Mixed signals resulted in little forward movement among the Royalist troops (low pip score) and here Artabanus took the initiative to concentrate his assault on Vonones’ centre and right wing. The Royalist forces were successful at repulsing the attack and pushed their left wing to take out the horse archers and attack Artabanus from his rear. The horse archers simply drew back frustrating the Royalist column; it was decided to leave a holding force and ride to help the King in his battle against Artabanus. The situation took a desperate turn as both the centre and right wing of the Royalist army were breaking. In a gamble, a column of Royalist horse archers attacked Artabanus in an attempt to retrieve the battle (note 1).
. at this moment, Artabanus was down two casualties and his death would mean a victory for the Royalist side. Fate decided otherwise bringing the score of 8 – 2 for Artabanus. The ferocity of the assault caught the Royalist troops off guard by smashing their right wing. Rather than pursue the routed units, Artabanus wheeled his noble cavalry to catch the King in a pincer move. The loss of the King sent the Royalist forces fleeing the battlefield ending the game with a score of 7 – 1 for Artabanus. Artabanus changed his strategy by deploying in a defensive formation. Facing this, the Royalist formed up as before with the King’s division in centre flanked by the nobles and their retinues. The location of the hills and rough ground left a small plain for both sides to manoeuvre in. The Royalist troops moved quickly forward to catch part of Artabanus’ screening horse archers. This forced Artabanus to launch an earlier than planned attack. This unfortunately lacked the momentum of the previous battles giving the Royalist an opportunity to destroy key units and earn their first victory. Score 4 – 0 for Vonones. Improving the Campaign System – increasing the odds. I have continued the experiments, playing DBA with uneven odds, and used the Polybian Roman against the Gallic army. The Gallic horde consists of three sub-tribes and one of these have their number increased by two extra elements. For the new reader I would like to preface this by stating these experiments are meant to help build historical scenarios where the antagonists are fighting one another with an uneven number of troops. A number of examples come to mind but high on my list are the Maccabean battles against the Seleucid armies. My preference is to find a way within the rule system that can best duplicate the conditions set historically rather than tinker with the combat abilities of the troop types. All tests were fought over 'arable' terrain which meant the presence of fields, a wood and a gentle hill. Both sides deployed on an identical frontage with the barbarians making use of deeper formations. The Romans withdrew their left wing to establish a new defensive line resting on the hill. This forced the Gauls to move forward using a series of wheels which took up needed time. As expected with the changes in direction and realignment of formations not all the groups could do so on the same bound; the situation developed into piecemeal assaults. Rome managed to beat back the central tribe but the eventual assault by both Gallic wings was enough to send the Romans off the field. Score 3 – 4 for Gaul. Both battle-lines remained unchanged in their deployment, but the Gallic warlord’s group formed up on the right so as to take make better use of his advantage of cavalry. This battle lacked the finesse of the first one but was no less exciting. 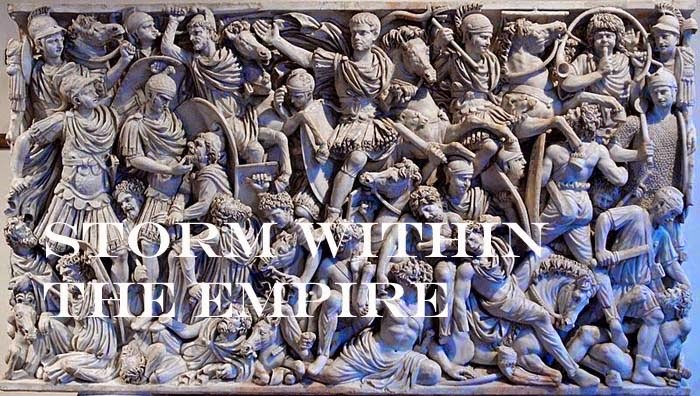 Rome did break the two groups of the left wing and centre. The Gallic warlord could not hold the rout that followed as all his energy (pip score) was focused on breaking the Roman left flank and perhaps killing the Roman general. This was a closely fought battle with both sides one element short of breaking. Unfortunately Fortuna departed confident of a Roman victory and in stepped the Muses. Score 6 – 4 for Gaul. Rome, as defender in all three games, deployed first and kept its standard formation. At the opposite end of the field, Gaul deployed in a far deeper formation than before. Rome took the offensive and would take advantage of their deeper formation to attack their exposed left flank. The Gauls responded by holding their left back while the centre and right wing rushed forward to strike the Roman wall. Rome did not relinquish the initiative and continued the attack first driving into the Gallic centre and left wing. Roman overconfidence was quickly dissipated as Gallic ferocity succeeded in destroying the triarii and hastati in short order. Score 3 – 4 for Gaul. Despite the barbarians having to move by tribal groups they did manage to overpower Roman resistance in all three tests. It is possible that odds of 5:3 are a threshold for the Polybian, but their main weakness is a shortage of mounted troops which are useful when fighting warband. On a historical note, when fighting the Galatians of the east, Rome could make use of the Pergamene as allies with their knights-class cavalry. Further on a tactical note, interspersing the Gallic cavalry among the warband worked well as the triarii could not benefit from side support against mounted. There were plans to group all the cavalry together, but this was discarded as it would require too many pips to be of any use. Next tests will bring two cavalry armies to the game table.